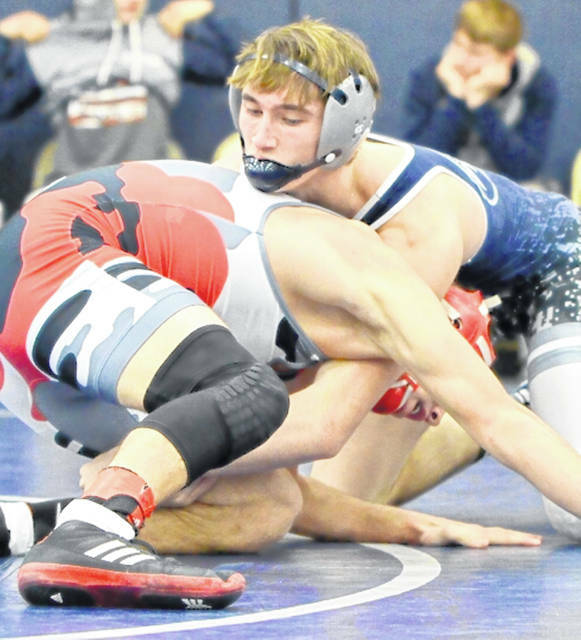 For the third time in school history, the Blanchester wrestling team has qualified for the OHSAA Team Wrestling State Tournament. With a win over league rival Bethel-Tate in the Division III Region 23 championship match, the Wildcats are now among the Elite Eight in the state. The Wildcats will wrestle in Columbus Sunday morning, three wins away from a state championship. 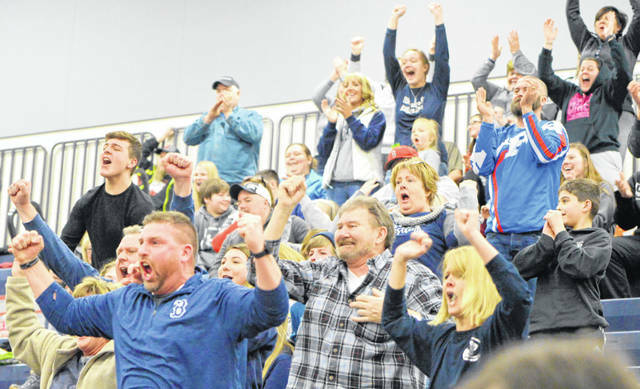 Shown is an enthusiastic crowd at the Blanchester High School gym Saturday celebrating a win for the wrestling Wildcats that helped BHS earn a berth in the upcoming State Duals Team Tournament at St. John Arena. Blanchester senior wrestler Clayton Schirmer. Blanchester sophomore wrestler Gage Huston.